Scientific Name(s): Washingtonia filifera (L. Linden) H. Wendl. 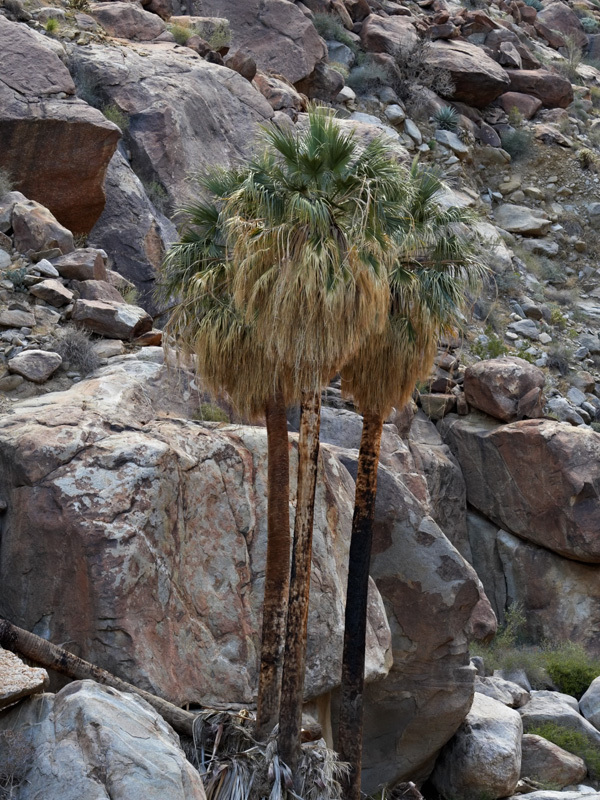 California fan palm is native to California, Nevada, Arizona and Baja California. As I was walking the short hike into Palm Canyon within California’s Anza-Borrego State Park to see the palm groves, I couldn’t help but notice (and wonder about) the dozens of fallen trunks in the streambed on the way up. Wayne Armstrong provides the reason why. Botany resource link: Images of the flora of the Andes and Patagonia from multiple expeditions to the areas by researchers from the Jardin Botanique Alpin du Lautaret.